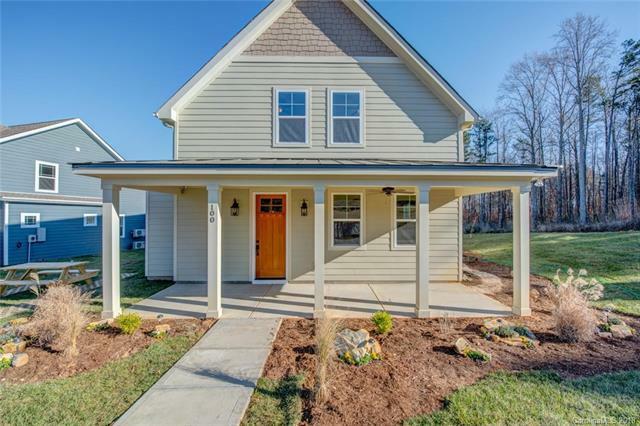 Innovative home of the future, new construction w Craftsman-style cottage! Want to say goodbye to power bills? This home has full solar! Welcoming huge front porch so just relax! Kitchen w granite, stainless appliances, refrigerator, washer & dryer! Granite in all baths & designer tile. Beautiful natural light fills home, bamboo flooring, spacious bonus room. Home constructed w/innovative GREEN features, -8 HERS rating w/full SOLAR. Site built under North Carolina Net Zero Ready requirements.